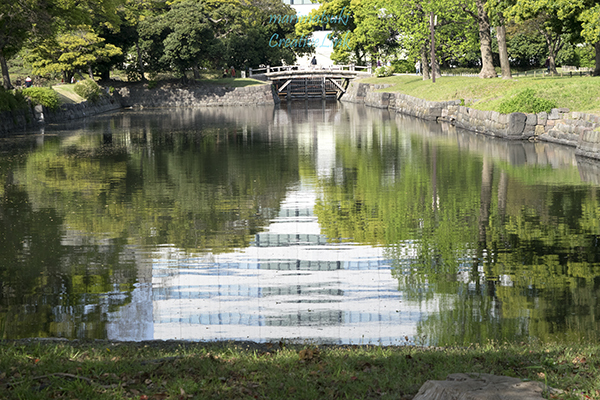 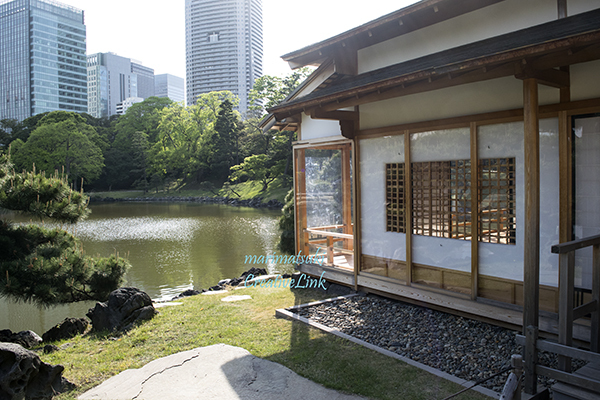 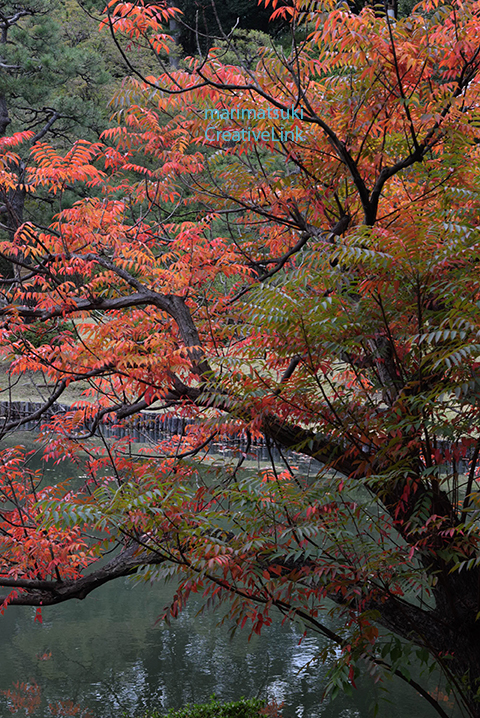 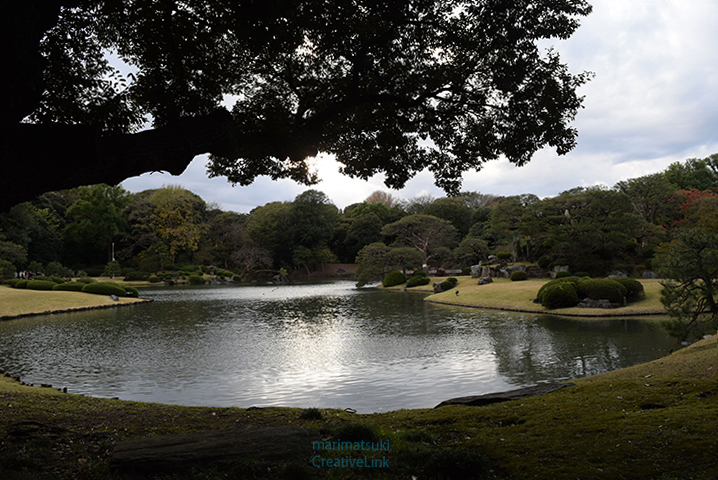 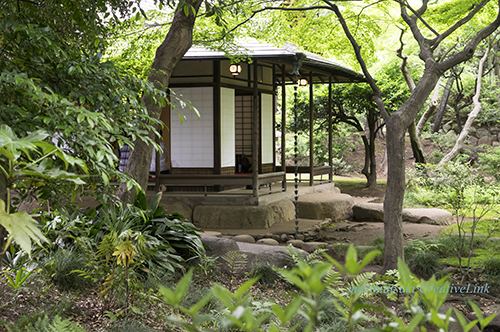 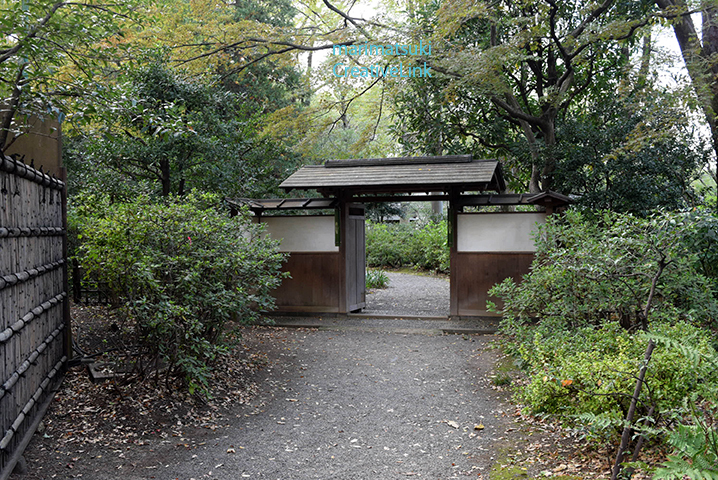 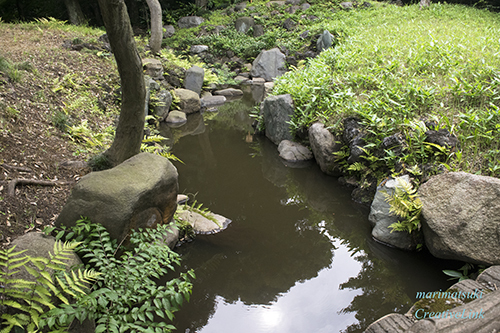 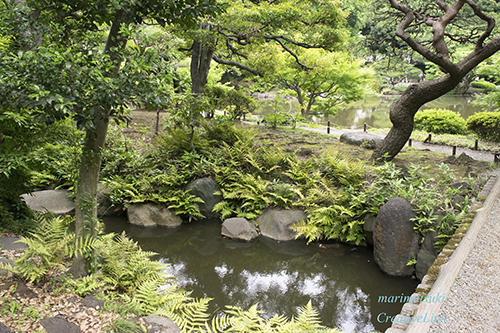 Rikugi-en 六義園 is a Tokyo metropolitan park in Bunkyō-ku. 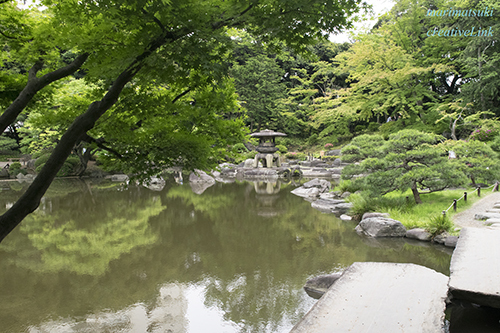 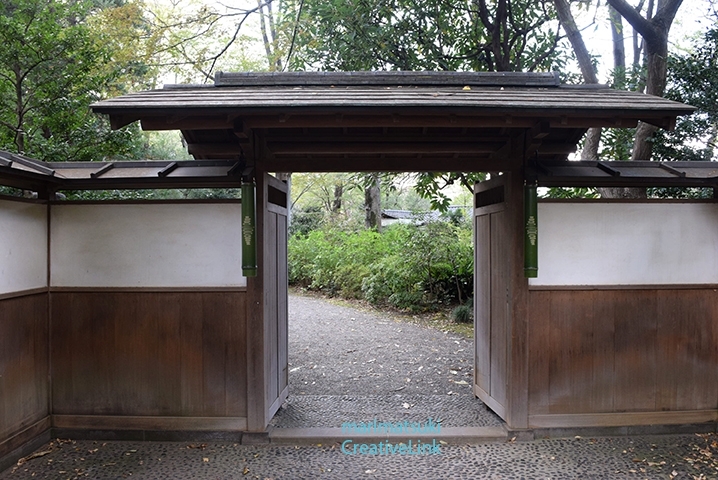 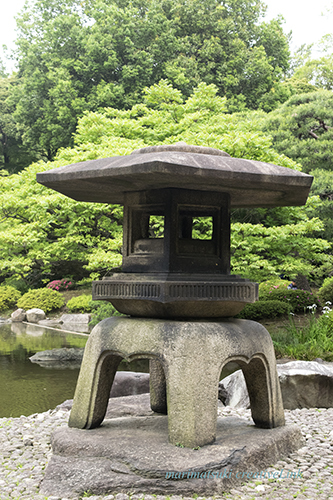 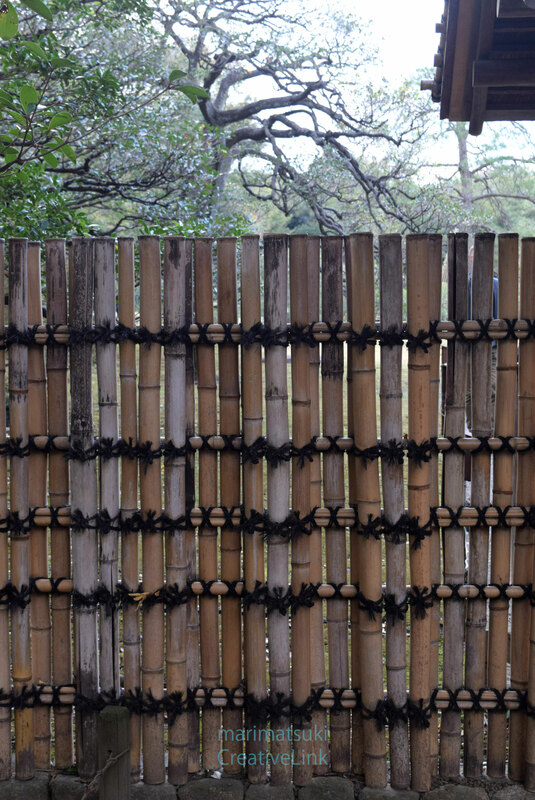 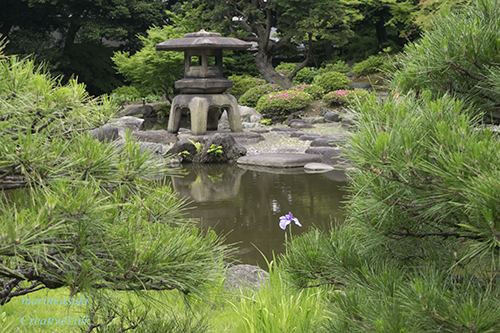 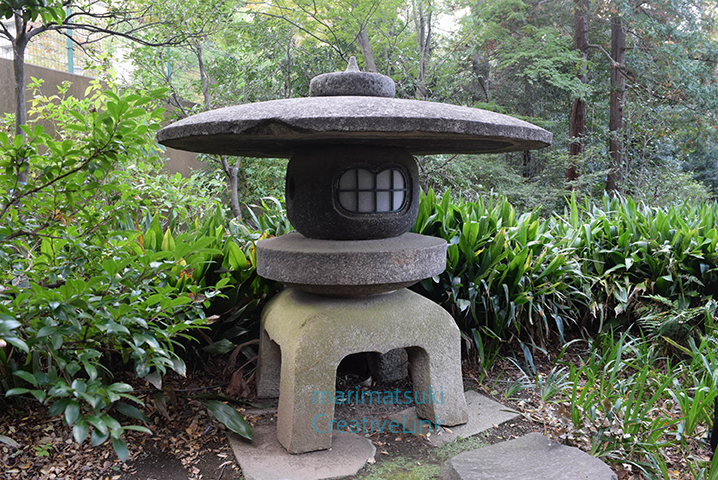 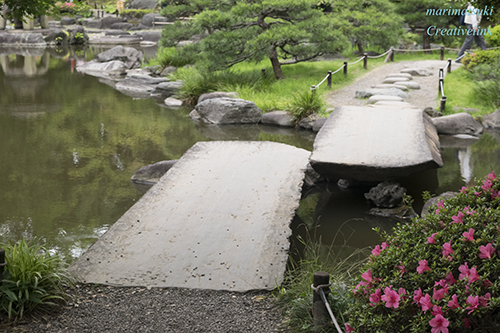 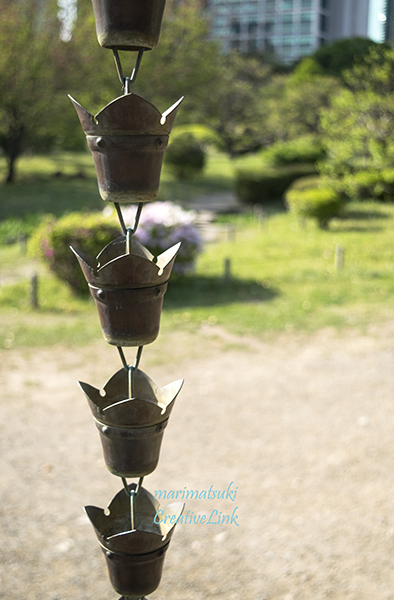 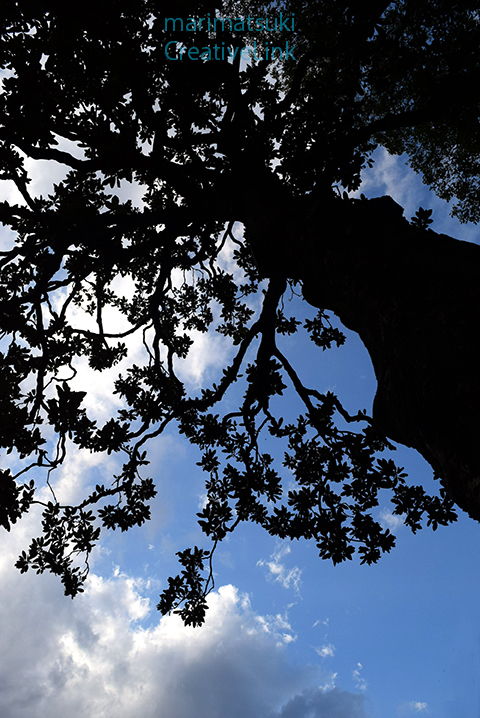 The name Rikugi-en means Garden of the Six Principles of Poetry which comes from the idea of the six elements in waka poetry while en means garden or park. 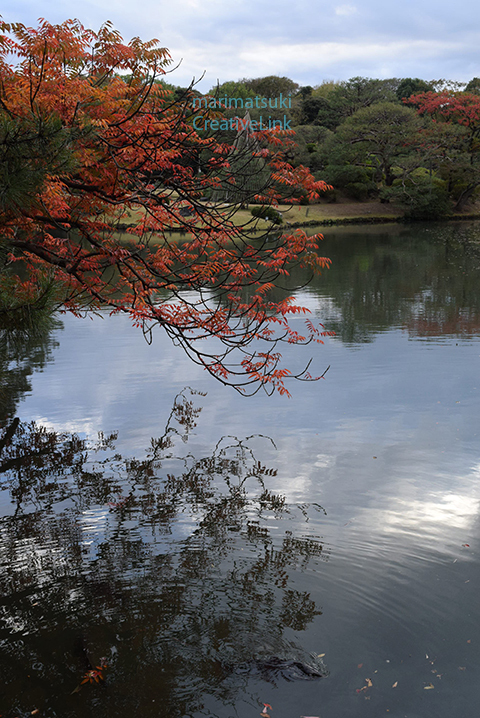 The park consists of a small pond, trees, and a hill. 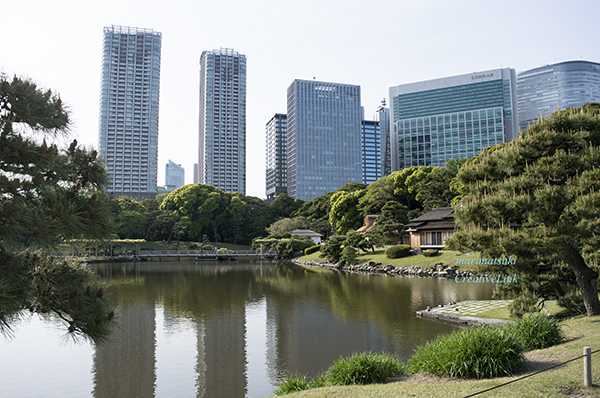 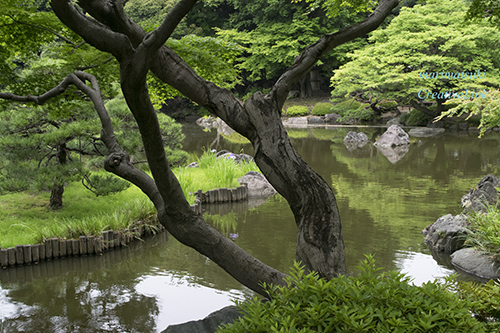 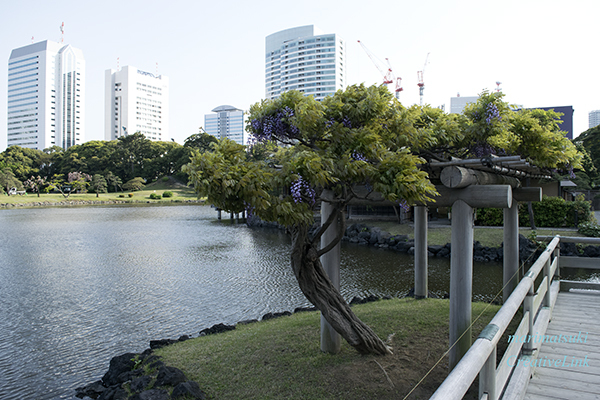 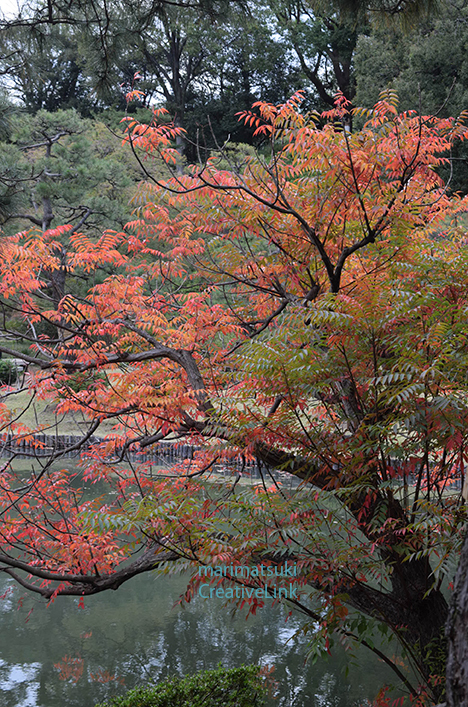 HamaRikyu (浜離宮）is a large attractive landscape garden in central Tokyo. 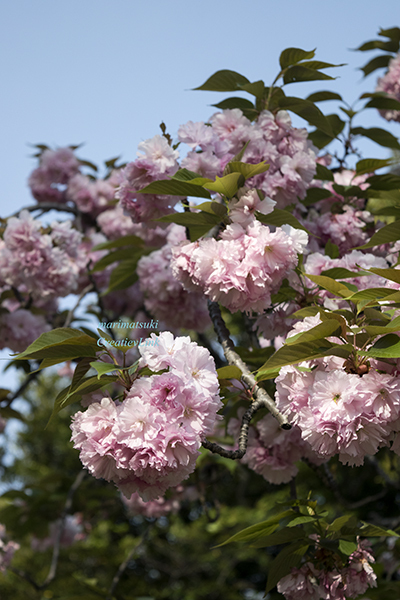 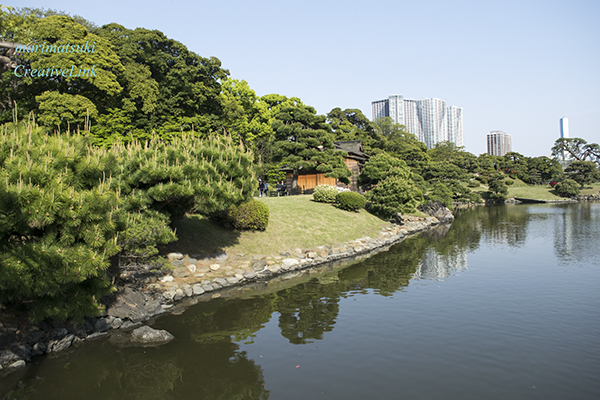 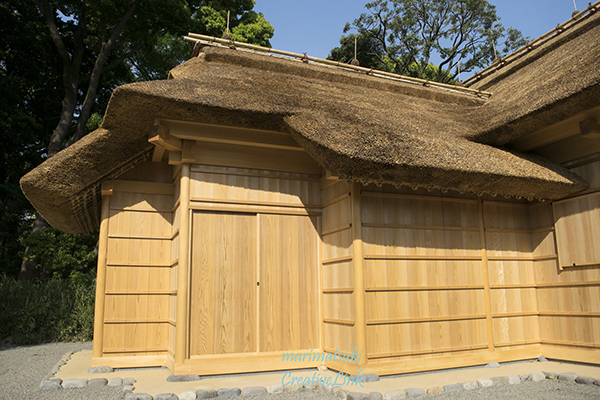 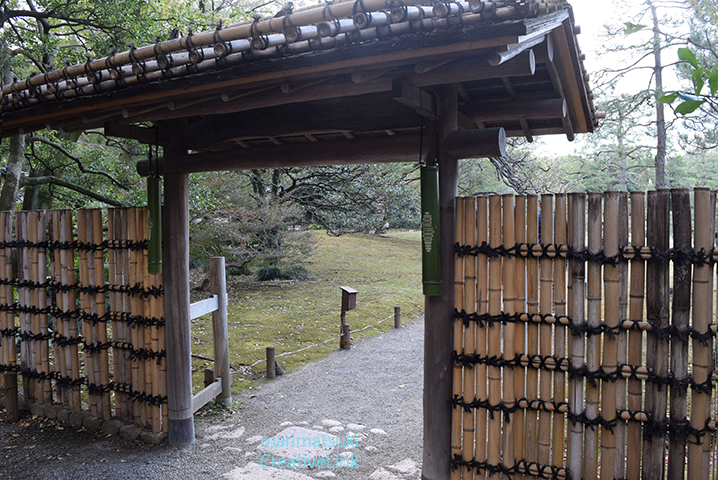 It was originally built as a feudal lord's Tokyo residence, later it was served as a strolling garden as an imperial detached palace,before being opened to the public.